Gold Coast and Coffs Harbour are separated by a little over 317 kilometres. It takes nearly 4 hours to drive that distance if you don’t make any stops along the way. While a leisure drive isn’t very stressful, transporting all your possessions from one state to another can be. 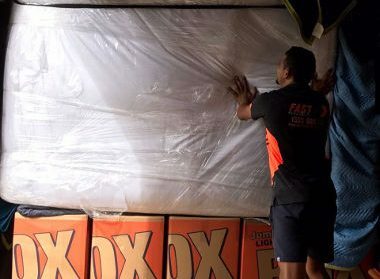 At Fast Removalist, we offer a team of experienced Gold Coast to Coffs Harbour removalists who can easily handle all kinds of moves. We are one of the most affordable interstate removal companies and provide a wide range of services to our clients. Why hire professional Gold Coast to Coffs Harbour removalists? Removalists Gold Coast to Coffs Harbour plan – This is the first and most important step in any removal process. Our experienced removalists carefully consider what customers want before creating a customised plan for removal. They take into account factors that can influence removals like distance, location in origin and destination cities, road conditions, traffic conditions, time of year, etc. during removal planning. This prepares our removalists for the move, ensuring they are ready to tackle obstacles. Packing services for interstate moves – Many inexperienced removalists underestimate the importance of packing. Just placing items inside old or used moving boxes isn’t enough. Our removalists know how much damage poorly packed items can sustain during the move, which is why they’re always careful while packing. 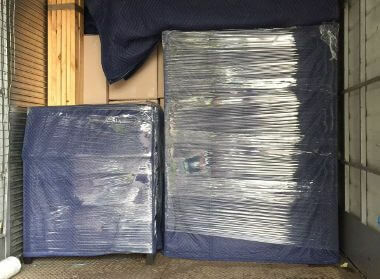 They use best quality packing materials along with proven techniques to ensure your possessions aren’t damaged. The team includes both an interstate removalist and a professional furniture removalist so even your furniture items are packed well. Loading by experienced movers – Loading is a very challenging aspect of removals. It requires physical strength, balance, right technique, and awareness of one’s surroundings. 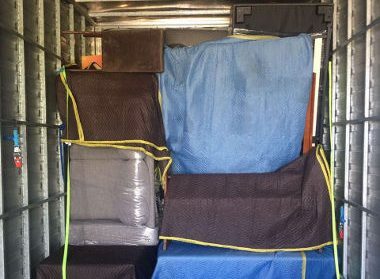 Our best cheap interstate removalists have undergone thorough training for several months so they know how to handle different kinds of loads easily. Loading experts will use different tools like trolleys, pulleys, ropes, ramps, etc. to transport all items safely. Experienced removalists are less likely to get injured or cause damage to your property during the removal process. Residential removalists – Residential moves are flexible and customisable according to your preferences. Full-service removals will include everything from packing and loading to unloading and unpacking so clients don’t need to take on additional stress. We also provide partial removals that don’t include professional packing services. All you need to do is keep your possessions ready for pickup at the scheduled time, our expert interstate and professional furniture removalist will handle everything else. 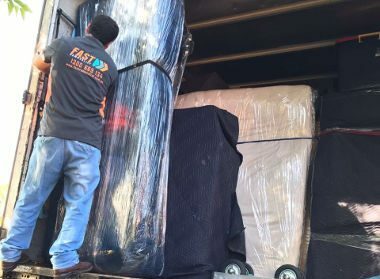 Commercial removals Gold Coast to Coffs Harbour – Commercial removals are often time-sensitive because clients want to reduce the impact on their business as much as possible. We carry out moves in a well-planned fashion to ensure all items are packed securely and reach the destination on time. If it is possible, our removalists will complete moving within 48 hours, which can help commercial clients. Good quality furniture removalist – Furniture removals are tricky because these items come in different shapes and sizes. It’s not possible to just stuff them into moving boxes for transport. 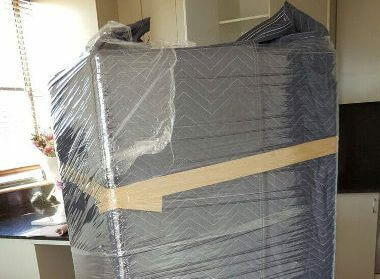 Our experienced professional furniture removalist makes sure all items are packed securely before they’re transported. Experts can also disassemble large furniture pieces like beds, sofas, desks, etc, and reassemble them at the destination. 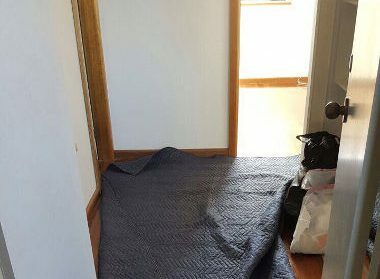 Small removals by one of the best interstate removal companies – We offer small removal services to clients who just want to pack up and transport their dorm room, small office, or other such small space. This service is more affordable than full-scale moves so clients can save money without sacrificing professional assistance. This option will include furniture removalist moving services as well. Best and most affordable interstate backload – Many clients don’t require an entire truck for their move as they only need to transport a couple of items. Hiring a full truck can be a waste of money, which is why we offer interstate backloading services. Clients can book a desired amount of space on the truck floor and still get professional removal services. The cost is split between clients who share a single truck, which reduces the cost of the move for all. We’re fully licensed and certified company with ample experience in this field. We are one of the best interstate removalist companies with insurance. If your possessions are damaged, repairs or replacements are covered by our insurance. Our website has an online removalist cost calculator so you can get a rough estimate of how much the move will cost. Our team is willing to provide a full estimate based on your requirements on request. Fast Removalists offers good quality removals at a competitive price. Our team can also come up with flexible moving solutions that fit into your budget. If you want to know more about our Gold Coast to Coffs Harbour removalists and their services here at Fast Removalists, just give us a call or contact us through our online form. Our customer care service agents are always willing to answer any questions you might have.